Mangroomer is one of the youngest players in the men’s style and grooming department. Yet a lot of their high-quality facial and body hair trimmers have proven that this company can competitively keep pace against its more established names. One of the Mangroomer products we have discovered lately is the Mangroomer Ultimate Pro Beard & Stubble Trimmer. Such a mouthful to say, huh? But will it say a lot too when it comes to features and functionality? Will this be your ultimate grooming tool? Without further ado, let us find out as we go along. The Mangroomer Ultimate Pro Beard & Stubble Trimmer is a decent grooming kit with an affordable price to match. 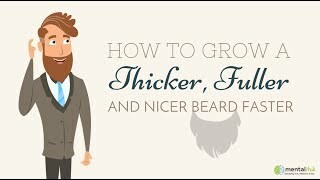 It can serve as a beginner’s tool if you have grown a facial hair for the first time and you want to trim and shape it in a way you like. Each unit consists of a beard trimmer, a beard comb, a charger, a blade oil and a cleaning brush. First, its lightweight and ergonomic design leads to a more comfortable use. Despite being lightweight, otherwise it has a solid and sturdy body. As for its trimming capabilities, the Mangroomer Ultimate Pro Beard & Stubble Trimmer is quite a capable tool for its price. It features 20 lockable length settings which you can adjust by turning the trimmer dial by 1mm increments, so that you will be able to customize your facial hair trimming, grooming and sculpting. Mentioning again the lockable length settings, you can firmly secure each setting by using the lock button. As for the blades, you can be confident with the Mangroomer Ultimate Pro Beard & Stubble Trimmer’s hair-cutting prowess. It has self-sharpening, hypoallergenic stainless steel blades that are guaranteed to create clean and precise trims without irritating your skin or snagging your hair. If you have an especially sensitive skin, you can’t go wrong with the Mangroomer Ultimate Pro Beard & Stubble Trimmer. Batteries are one of the main issues regarding electric facial hair trimmers. The Mangroomer Ultimate Pro Beard & Stubble Trimmer comes with a nickel-cadmium (Ni-Cad) battery. A full charge will provide you an hour of use, which is considered long-lasting compared to other trimmers. This versatile grooming tool can also be used with a cord for added convenience and ease of use. There is a indicator light that alerts you whether the trimmer is charging or is fully charged. The Mangroomer Ultimate Pro Beard & Stubble Trimmer can be used for both dry and wet shaving. Its parts are made in such a way so that they can be easily cleaned on running water or that the trimmer can be used while you’re in the shower. One of the best things about the Mangroomer Ultimate Pro Beard & Stubble Trimmer is that it has 2-year limited manufacturer’s warranty. With its self-sharpening, hypoallergenic blades, 20 lockable length settings, long battery life, versatlity and a handsome warranty, no wonder that the Mangroomer Ultimate Pro Beard & Stubble Trimmer has remained one of the more popular beard trimmers of late. Yes, it does say a lot regarding features and functionality! Charge: not indicated, but a full charge provides 1 hour of runtime. Features: 20 lockable settings, self-sharpening hypoallergenic blades, good battery life, washable parts, 2-year manufacturer warranty.